This is the new Exe Valley Fishery hall of fame. We have so many pictures of Trout caught on our lakes that narrowing it down to ten for this gallery was pretty tough. However watch this space and we will endeavour to add more of you here in time. 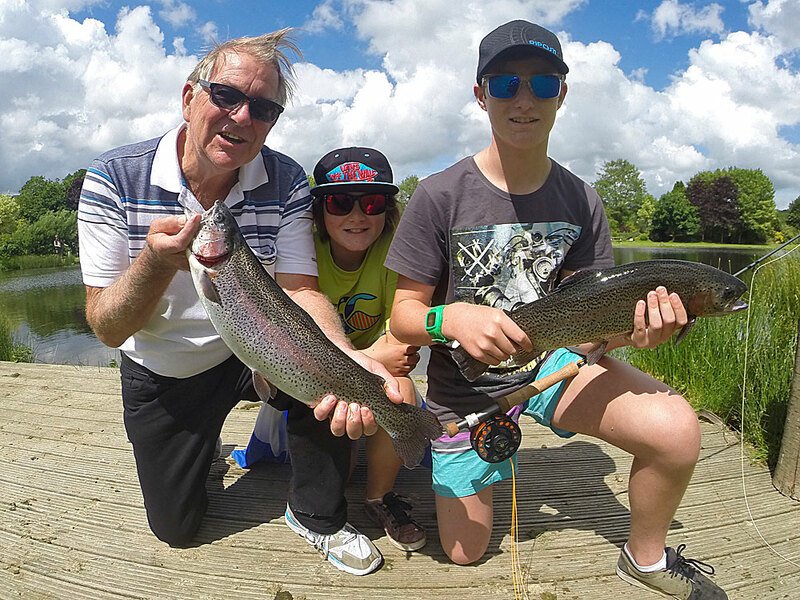 For now check out why so many anglers visit the fishery! Ken & Zoe Sparrowhawk with a couple of very fine fish - sorry Ken but Zoe's is bigger! 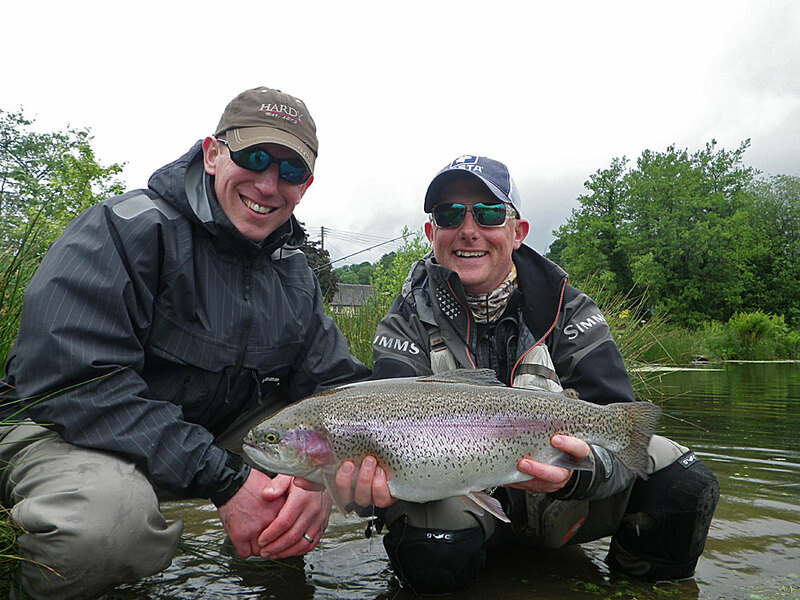 Nick Turner looks very pleased after catching this beauty on his first ever fly fishing experience. This family travelled across the world to visit Exe Valley and they were not disspaointed! An England youth fly fishing team member, this is one of Freddie's best fish and won him a free fishing permit. Can you spot the tag? 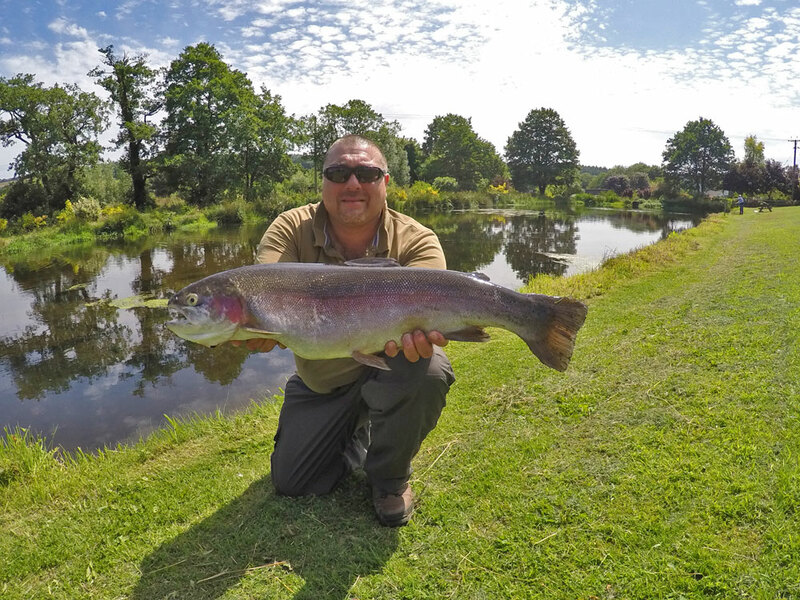 Beaten in 2014 by Les Carters 25lb monster, this 19lb 9oz Rainbow is just about perfect and held the fishery record for just over a year. It still stands after 3 years! A 12lb 4oz fin perfect specimen to regular rod Keith Ratcliffe fishing a size 14 Black Buzzer. Les Browns - Brown Trout! Les fishes Exe Valley on most days of the week and has done so for over 20 years. This is one of his best catches, a 6lb Brown in early 2015. Simon David lured another of our beautiful Brown Trout during an outing in Jan 2015.